When a tooth juts outs further than the rest of your teeth, this can cause a number of cosmetic issues and dental health problems. These issues are compounded if multiple teeth jut out too far. Problems with dental alignment such as these need to be addressed by skilled dentists. By improving the alignment of your smile, you'll be able to smile with confidence and experience great overall dental health. The team at our Redwood City cosmetic dentistry center would like to consider the problems caused by jutting teeth. We can then briefly discuss the various methods dentists have to treat this problem. When a tooth or multiple teeth jut out too far, it may cause you to become very self-conscious about your smile. This can cause you to feel reluctant about laughing, smiling, and speaking, even around people you have known for many years. For people in professions that involve a lot of public interaction, the jutting of a tooth or multiple teeth can have a negative impact on job performance. In addition to the cosmetic issues above, jutting teeth can lead to serious problems with dental wellness. Poor dental alignment can make simple actions like biting and chewing painful. In addition, crooked teeth may contribute to teeth grinding (bruxism), a condition that can result in tooth damage, gum recession, and jaw joint problems such as a TMJ disorder (TMD). For minor jutting of teeth that only affects aesthetics, cosmetic or restorative dentistry options may be used, such a veneers or crowns. 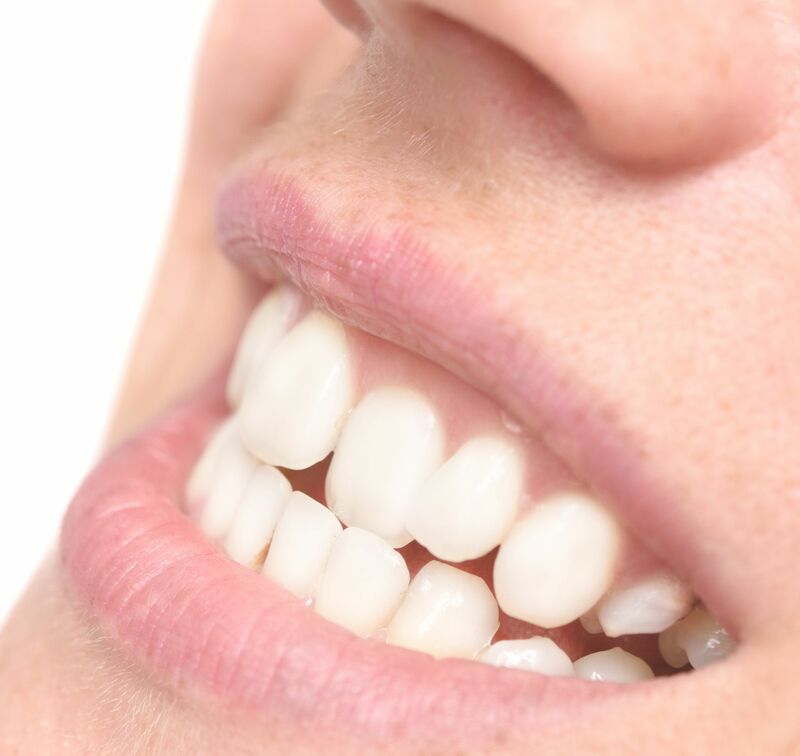 Porcelain veneers are thin shells of dental ceramic that can conceal the front of a tooth from view, while dental crowns are caps that can hide an entire tooth that is poorly shaped or positioned. The ideal approach will depend on the extent of the problem. For the vast majority of dental patients who have teeth that jut out too much, the ideal treatment option is orthodontic care. Using braces, palatal expanders, headgear, or other appliances, carefully applied force can help improve the position of the teeth and the alignment of the smile. It's generally best for orthodontic care to be performed during a person's teens since treatment tends to go faster and with fewer hassles than adult orthodontic care. That said, good results are possible through adult orthodontic care. When orthodontic care alone cannot achieve the necessary results, more advanced dental therapies will be recommended. This tends to mean oral surgery. Dental surgery allows bone structure and other tissues of the mouth to be dramatically revised to improve dental alignment. After surgery, orthodontic care or restorative procedures can be used to help make the final adjustments to dental alignment. As you can see, there are many different approaches to treating a tooth that juts out too much. The best way to find out which one is best for you is to visit our practice for a consultation. During the consultation process, we can assess your situation and develop a treatment plan that is best suited to your dental care needs. For more information about treating teeth that jut out and improving the overall alignment of your smile, be sure to contact an experienced cosmetic and restorative dentist today. Our team looks forward to your visit and discussing these matters in much greater detail.